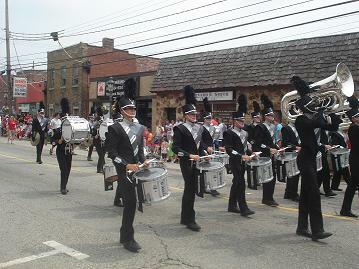 The annual Brentwood Fourth of July Celebration is one of the most storied summer traditions in Western Pennsylvania. Since its initial inception in 1919, festivities have grown from a small parade designed for a local audience to a three-day party bash that draws revelers from across the region. Depsite expansion, the event proudly retains the idyllic, old-fashioned charm of a small town carnival. 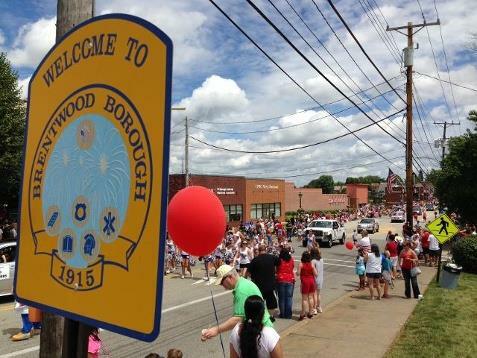 On the Saturday proceeding America's birthday, Brentwood Borough says "thank you" to its residents by hosting a Community Day. This family-oriented event features performances by crowd-pleasing entertainers, outdoor sessions of popular physical fitness programs, engaging children's activities, and an assortment of food vendors to please any palate. The evening concludes with live music in the cozy confines of our new athletic stadium. The 2018 rendition of Community Day features the theme of "Happiness is Brentwood." The fun continues on July 3rd, as the Brentwood Business Owners Association holds a street fair in the Brownsville Road corridor. This neighborly gathering includes music, tasty treats, and challenging games of skill. Attendees can also witness the Battle of the Barrels, in which local volunteer fire companies engage in a soggy interpretation of tug-of-war. Brentwood rings in Independence Day with its yearly Firecracker 5K. Nearly 2000 runners, from the casual to the competitive, participated in this exciting event. After our racers cross the finish line, our renowned parade commences. Talented marching bands, colorful floats, and local dignitaries proceed along Brownsville Road to the cheers of nearly 40,000 people. As the sun sets, the party continues with a musical performance. The 2018 celebration features a high energy perfromance of soul, funk, and hip hop tunes from "Mercedez." The night is capped off with a spectacular fireworks display. Although Brentwood Borough police officers, paramedics, and DPW laborers provide manpower support for the duration of the event, the municipality only directly subsidizes Community Day expenses. The independent, volunteer-based Fourth of July Committee and Firecracker 5K Race Committee work diligently to raise funding and to coordinate activities so as to ensure that each celebration is bigger and better than those that occurred in prior years! For information regarding these events, please visit the July 4th Committee Facebook page or the Race Committee website.